Welcome to the RSSC website! The Sullivan Ridge Skippers Snowmobile Club (RSSC) was brought back into service, and rejoins the ranks, as one of the first 10 snowmobile clubs in NH. 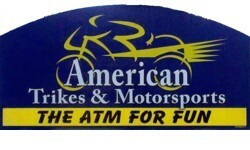 We are happy to restore this club to active service, bringing more funds and equipment to our local network of trails. Our system is comprised of trails in Sullivan, Nelson, Roxbury, Marlborough, and W. Harrisville NH. We also serve and maintain trails coming into and out of Granite Gorge Ski Area. If you spend the majority of your time riding in our network, please join our club and support the trails you ride. More members equals more grooming funds being provided to our Club, which means better trails for you to ride. Please spread the word to any friends or family in our system. We need the support as we bring this club back to life. 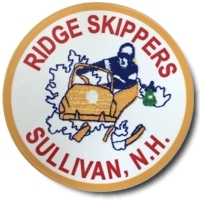 The Sullivan Ridge Skippers Snowmobile Club (RSSC) IS NOW Online to take New Member sign-ups. You can join our club, online at NHSA Memberships . Please report any issues to the club, thru our contact form. Thank you! Thanks to everyone who joined last year. A new snow-stick is in the works. It will be a static photo, but you can see how much we have up here, if you are not up here. When you go-to register your snowmobile this year, you will need to have your NHSA assigned Club Member Number ready, or the dealership cannot honor your club membership and give you a club-discount. Again, please join our club online and get your NHSA club #, before you go-to register. The new registration process this year, requires the person registering their snowmobile, to come equip to the dealership with a pre-paid Club membership and specifically the State-Designated Club membership number, that is now assigned by the state, when you join a club. This reverse-verification is required by the dealerships, else the system will not honor a club discount for your registrations.